This attractive and fairly common wild flower is a member of the Gentian family as can be seen by its opposite pairs of leaves and its erect inflorescences of star like flowers backed by a corolla tube. The five petals are bright pink that contrast with the butter yellow anthers which twist once they have lost their pollen. Common centaury is unlikely to be confused with any other British flower except for other, much rarer species of centaury. 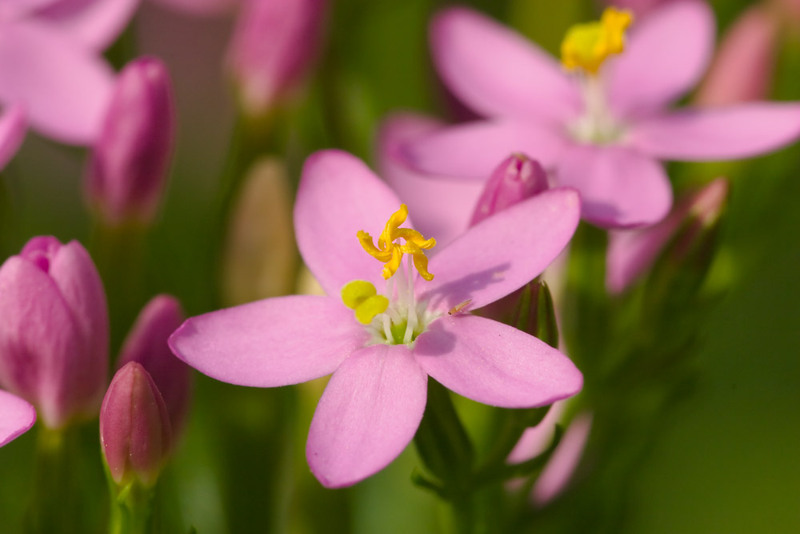 The most likely to be found is the least centaury which is more open in habit with more slender petals and leaves. 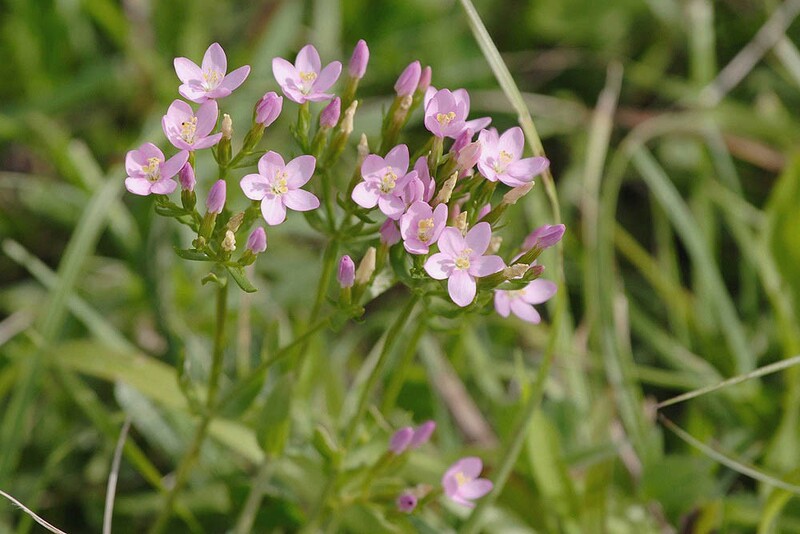 Common centaury is a native biennial or sometimes annual of well drained soils that are mildly acidic to calcareous. It is found in a wide range of habitats including heathland and calcareous grasslands, road verges, quarries, dune slacks, woodland rides and waste land, often where the soil has been disturbed. 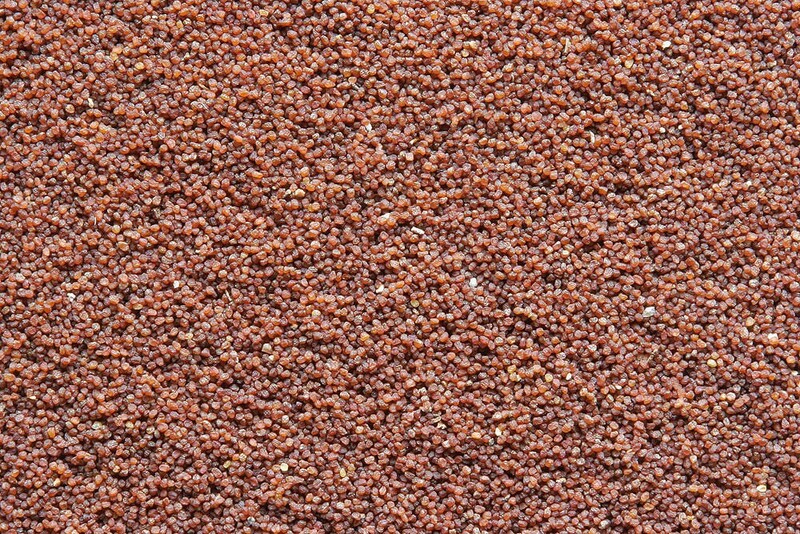 It is found throughout Britain although in Scotland it is mainly restricted to coastal areas particularly in the west.